Fantastic composition and gorgeous scenery! 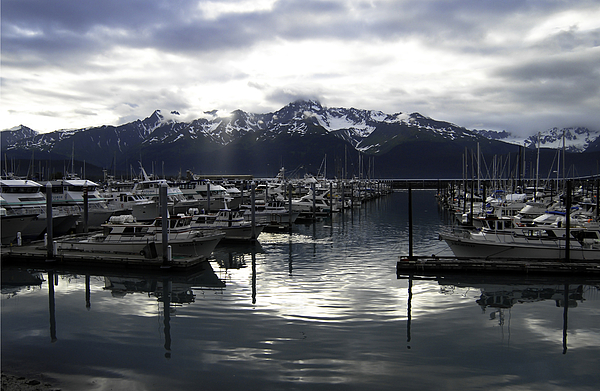 A scene of Seward Harbor at dusk. 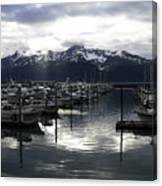 The mountains in the background as well as the light coming through the clouds gives this image a magical appearance. 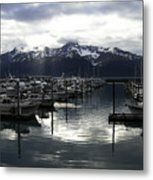 Seward is located on the Kenai Peninsula in Alaska. 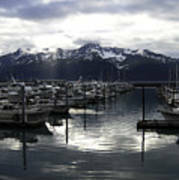 The harbor leads to Prince William Sound and Resurrection Bay which is rich in wildlife and sealife.